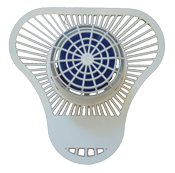 Save Money and improve your sewer system while keeping urinals operating correctly and smelling fresh! 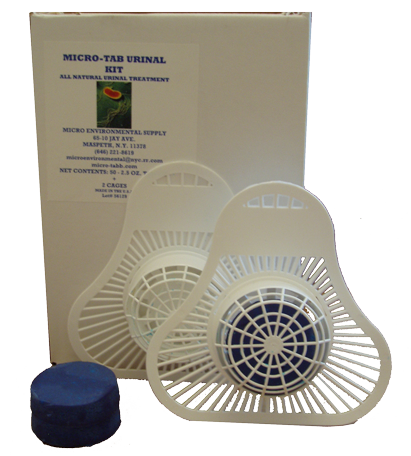 MICRO-TAB URINAL KIT are a uniquely formulated, bacterial urinal screen or puck. 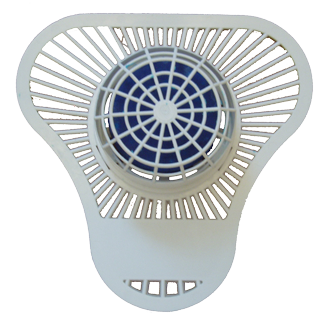 They are designed for use in the base of urinals for a slow dissolving bio-microbial bowl cleaner and septic treatment. This product is 100% microbial and as such, is 100% friendly to the septic system it washes into. 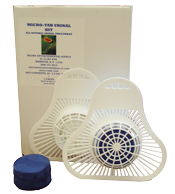 MICRO-TAB URINAL KIT act to liquefy and speed digestion of solid waste in septic system while also controlling urinal odors in any commercial urinal. The microbes used are classified as hydrolytic, and are capable of breaking a chemical bond and promoting the decomposition of waste matter. One type of hydrolytic microbe ruptures the protein structure in a waste molecule. This rupture of the protein structure results in rapid viscosity loss, and results in a complete breakdown of products into simple molecules. The amylase hydrolytic microbe contained in MICRO-TAB URINAL KIT break down starches into single sugars and water-soluble dextrin’s. The cellulose microbes break down cellulose into dextrose. The result is the breakdown of solid waste into simple molecules in a liquid form. As a result of the action with MICRO-TAB URINAL KIT, there is the elimination of odors and an easy to use maintenance system for many product applications.